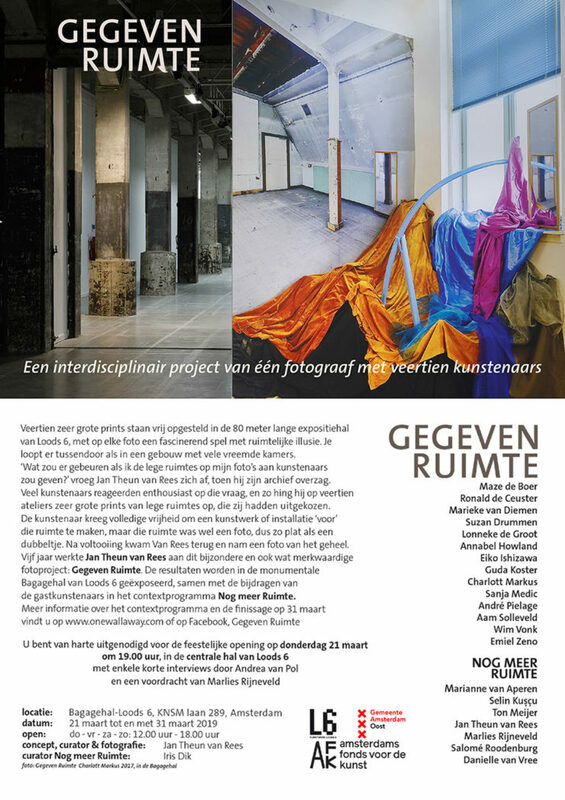 A Given Space (Gegeven Ruimte) is a special project initiated by photographer Jan Theun van Rees. He has been photographing empty spaces and dismantled buildings for many years. In this project he gave every participating artist (14) a large photograph of an empty space to work with. The results are varied and surprising, adding definitely exciting new stories to those spaces. He gave me a large photo 3,50 by 2,75 m of a dismantled space in the Stedelijk Museum in Amsterdam.This is my contribution to the project.